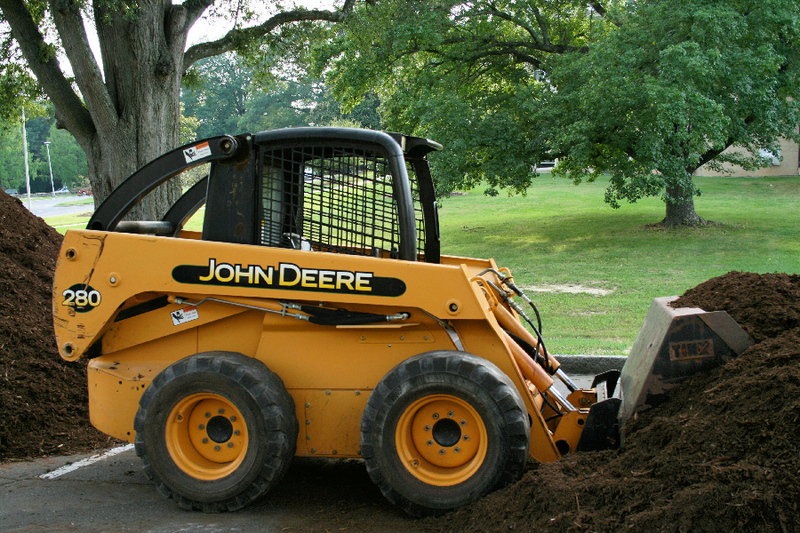 I am often in need of the basic kinematic motion equations for skid steer vehicles. I have also recently been working with mecanum wheeled vehicles. The skid steer equations are fairly simple and easy to find, however, I will include it in different versions and include a ROS approach. The mecanum wheel equations are harder to find and there are different versions floating around. The first version I found had a lot of trig and mostly worked. The version I present here is easier to intuitively understand and seems to work better (I don’t need a random scale factor for this version), I also include a ROS approach for them. 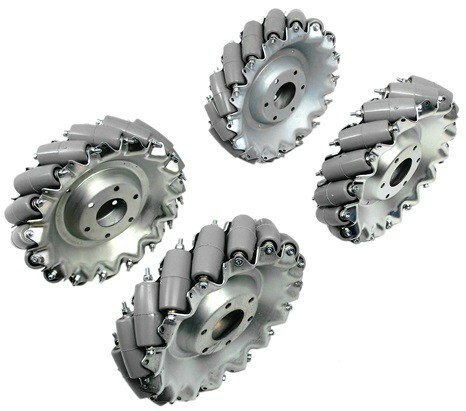 Here is some math for 2 and 4 wheel differential drive vehicles, 2 wheels and a castor, or skid steer tracked vehicles. Where w is the angular rotation, RADIUS_OF_ARC_TO_DRIVE is the arc radius that the robot should drive, and the WHEEL_BASE is the distance from the center of the left wheel to the center of the right wheel (See image above). THEN the radius of the arc is infinite so the robot will drive straight. In ROS if using the Twist topic (which is the default for drive messages) (message name is often cmd_vel) you will often set linear_velocity in the linear.x field and angular_velocity in the angular.zfield. In ROS if using the Twist message you will often set the linear.x, linear.y and angular.z fields. One unrelated note is that if you are operating on uneven terrain then doing mecanum type motions will fail and have a lot of slip. Skid steer type motions will often work better (using the mecanum wheels). Also this gives an output in rad/s. If your motor controller is operating with encoder counts as the unit you will need to convert the units. Source for mecanum wheel math: here. There are other versions of how to compute the wheel velocities but this is the one I like best. If you have any pressing questions, visit the Robots for Roboticists Forum. The post “Drive Kinematics: Skid Steer & Mecanum (ROS Twist included)” appeared on Robots For Roboticists.